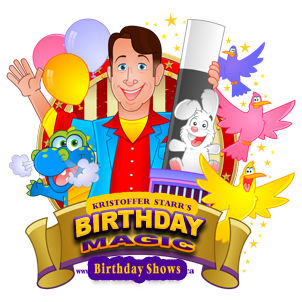 Live Video of the Children enjoying a Kristoffer Starr Birthday Show! 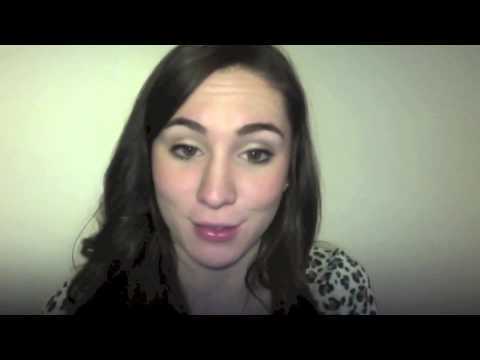 Thornhill Mom raves about Kristoffer Starr's Show! Kristoffer Starr's Birthday Magic & Puppet Show! 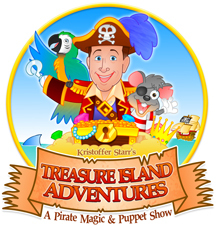 Kristoffer Starr's Pirate Magic & Puppet Show! 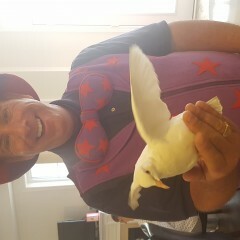 Kristoffer Starr makes live Doves aooear by Magic! Kristoffer Starr makes Santa Claus appear by Magic! Kristoffer Starr's Dragon Puppet actually blows smoke out of his nise! High energy comedy magic with tons of audience participation, live Doves that appear and then are transformed into the Magic Rabbit! One of Toronto's (GTA ON Canada) top children's magician & family entertainer. Family Events & Birthday Parties are a specialty. Everyone in the audience gets to be involved in all the fun, and several kids help out up close. The special attention shown to the Birthday Child makes them feel they are the star of the show. After almost 30 years and more than 5,000 shows, everyone is sure to have a great time! On my website BirthdayShows.ca you can get full show details and rates. From beginning to end, this was a show for all ages! We hired Christopher Starr for my son's 6th birthday, and we were not disappointed. You can expect personalized attention from the moment of booking, ongoing communication with Christopher, and feeling of ease allowing you to actually enjoy your function! The show was fantastic, with ongoing jokes and audience interaction. The magic tricks were really awesome, and had the crowd in awe! Every child who wanted to had an opportunity to participate in the show, and Christopher made my son feel like a star! My only regret is that I didn't book him for previous birthday parties! Truly an unforgettable afternoon, and the smile on my son's face will stay with me forever. Thank you, Christopher Starr for a perfect 6th birthday party! I'm so glad Sanjit that I was able to help you create a great Birthday Party for both your Sons. Your family was so gracious and showed great hospitality by including in your serving of the amazing food, including my favourite Indian Dish: Butter Chicken! Hopefully I can help you again at another Party. Thanks again! Christopher Star Was excellent as entertainer and magician for my daughters birthday party. He captured the attention of all the children, and kept them happily entertained and captivated for the entire event! With much laughter, joy, and amazement, adults and children thoroughly enjoyed the hour of fun. Thank you very much. I'm pleased that your Daughter was so delighted and that everyone had such a great time. Your Party was a pleasure to perform at. I do hope to work with you again in the future to help create another amazing event! Christopher Starr was very entertaining. He was a complete entertainer to my son's birthday party. His magic trick was very interesting and was able to engage kids of all ages. I would still hire him for my party event of any kind. Highly recommended!! I’m SO glad that everyone had a great time at your Party! You had an enthusiastic group there that were a pleasure to perform for. I look forward to working with you at another of your Events. Thanks again! The show was very entertaining! We're still trying to figure out where the birds went. We loved it! I'm so glad that I was able to help you create a great Event for the Kids AND the Parents that were there. Your group was so enthusiastic and such a joy to perform for. I look forward to helping you at another of your Gatherings. Thanks again! It was wonderful to have you, Christopher, for our daughters birthday party. We will definitely remember this life long experience. We all loved it. Thank you so much. I'm so glad that your Daughter and her friends and cousins had such a great time, as it was a real pleasure performing at your Party. I do hope I can help you in the future at another of your Family Events. Chris was amazing. My son, Collin, and his friends loved the show. It was beyond our expectations. Thank you, Christopher! I'm so glad that your Son and his friends had a such a great time. I really enjoyed helping you create a wonderful Party, and hope that we can work together again in the future. It was an amazing experience. Great manage of audience. A funny show. Christopher Starr was amazing. He kept fourteen 7 year olds interested and captivated for a whole hour. Christopher Starr was a big hit at our family gathering. His comedy and magic was exciting for both the kids and the adults. The magic rabbit that appeared was so cute, and we all loved being able to pet him. Many of my relatives are still talking about the fun they had, and several stated that they'd invite Christopher for their party, too. Christopher came on time, waited over 30min for us until all the kids arrived. Show was very entertaining for the kids and age appropriate. Well tailored for 5-8yr olds. Doves and bunny were a hit. Even some of the adults had a laugh. First disappointment... Chris & team showed up an hour late than expected and to make things worse..... we were NOT able to contact Chris via phone to get an update... all guests were asking and only answer we had was... we are not able to get hold of magician. Got a message via Gigsland portal that he is running late. Other than that.... we and guests were satisfied. We hired Chris to perform at my 3 year old daughter's birthday party. The kids there aged from 3 to 9. He got off to a bad start by being extremely late and starting the show late, causing us to rush the end of the party. Nevertheless, we were looking forward to his show given the generally positive reviews. He spent way too long on the lead in, and it was an unfortunate sign of things to come. In his entire 45 minute show, he did maybe 4 or 5 tricks - that is a long time between tricks. He also botched one of his tricks. The kids lost interest VERY quickly, and this same group of kids has been enthralled by magicians at parties in the past (which is part of why we got a magician in the first place). As he was clearly losing the children's attention, things went downhill quickly to the point where he was openly antagonistic with the children and had the gall to blame them when confronted about it after the show. A children's entertainer needs to be bigger than that. The sad thing is that he actually has a trick or two that are very good but couldn't hold the children's attention to actually appreciate it. He clearly lacks delivery skills, but more importantly lacks professionalism. I would recommend people stay far away given how many better entertainers there are in the Toronto area for the same or less money. Chris performed at our Holiday Christmas Party. He was professional and a pleasure to make arrangements with. We had Frosty the Snowman great guest at the door both children and adults were more than happy to use the photo op. The show was exactly what we were looking for. He kept the attention of all the kids for the entire show and they were so engaged, laughing, and participating! There was lots of audience participation! He made us laugh too - adults and kids. It was an uplifting and feel-good performance. Chris is a wonderful performer and we loved his magic! The kids particularly loved learning how to create their own magic trick and were given balloons which they played with for the rest of the night. Christopher was awesome. He was really communicative leading up to the event, so we knew he was all set to come. He was on time and put in a fantastic show. The kids loved it and the birthday boy felt really special. We definitely recommend Christopher! The lead in was a little took long, and even the kids looked like they were starting to lose interest, but after the first trick they loved it. Jokes were great for 6 and under and kids got to participate. They laughed loud loud and little ones had jaws drop. It was cute to see their reactions. They loved being able to touch the birds and pet the bunny which was a big hit. My niece told her mom she wants the exact same party next year, lol. So definitely a hit with the little ones. Glad we did it for my sons 6th bday. 5 year old Birthday Party Success! It was easy to deal with Christopher by email, he was quick to respond and everything went according to plan. The kids loved the magic show and the tricks still have us baffled. Highly recommend for a kids birthday party! We specifically picked Christopher due to having live bunny and doves as part of his magic show. I can tell you the show was great. Very very entertaining for both by 6 year old and her friends on her birthday, and all the adults there. Chris had many individuals participate in the show, and generated a lot of "WOW"
In addition Chris create various balloon animals/things and left some behind for "in case some pop". I would recommend Starr Entertainment to anyone who is looking for about an hour and a bit of great entertainment for the kids for a fair price. Amazing! Belly laughs and tons of fun! 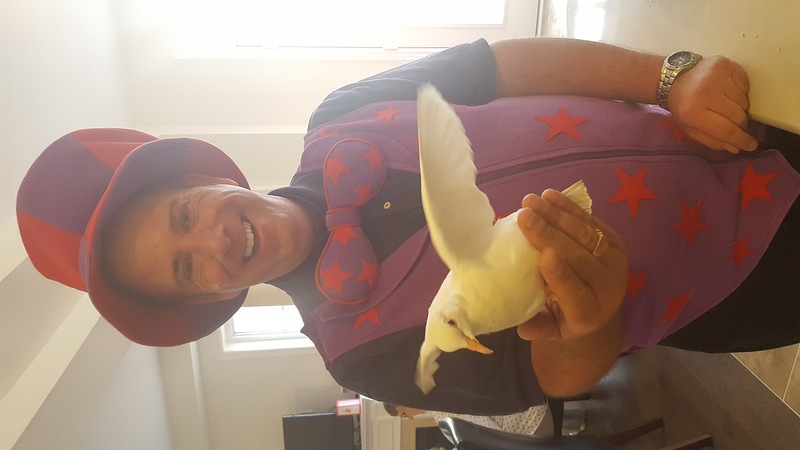 We had Christopher Starr entertain 20 adults and 15 kids with great energy and tons of laughs at my daughters 4th birthday! Everyone truly enjoyed the performance... kids and adults alike. My daughter felt extra special receiving the light up magic wand and the dives and bunny were a great hit with the kids. I would highly recommend Christopher. He stayed to make sure everyone who wanted a Ballon got one and wasn't rushing to get out the door. We will definetly use him again!!! The kids had a great time. Christopher was very engaging with the kids!!! No compliments, except to give time for Christopher to set up. Christopher Starr put on a very exciting and entertaining magic show for my daughter's 7th birthday party. He held the kids' attention for the full hour and they loved it. Thanks for your kind words, Sari. You created a wonderful party for your daughter Talia, and I am delighted that I was invited to help make your celebration a huge success. The room you booked at the Community Centre worked well for everyone involved. I'm also pleased that you were referred to me by your friend who has had me at her daughter's party too. I'm sure I will see you and your daughter again soon at another event within your circle of friends, so I'm going to start now practicing new and exciting routines that will continue to amaze and amuse everyone. We had Christopher Starr perform for my son's 3rd birthday this past weekend. Christopher came to our home and put on a fantastic performance. The look on the my son's face was priceless throughout the show. Christopher also made sure all of the other children and adults were part of the performance. My son loves his light up magic wand and keeps talking about how the bird appeared out of the balloon. As well, everyday since he keeps asking when Christopher Starr is going to return! Thanks for making my son's birthday one that no one will forget! My child care centre has had the opportunity to book Christopher several times in the past few years. He provides excellent entertainment for the children (and adults too!) with all his shows. He's a very popular favourite with his Santa show - the children are blown away by Santa's surprise appearance at the end of the show! What I also appreciate, is that Christopher is punctual, prepared and professional - not a given! All of these things are why we go back to Christopher time and time again. Christopher came to our home for my daughters 7th birthday to do his magic show and it was a hit with the kids. He kept their attention, had great magic tricks the kids loved and was very concious to make sure we got great photo's. He made sure my daughter was the "star" the whole show. She said it was her best day ever! The doves were so cute and the rabbit was adorable! The backdrop made the show look very authentic and professional! Great show! Thank you so much christopher! Definitely worth recommending for any party occasion. This wasn't our first time booking Christopher Starr, and I'm sure it won't be our last! We've enjoyed his shows several times, usually the Christmas show with santa, but this time we had Frosty's Birthday Party, lots of magic and laughter and the children are STILL talking about Frosty! Christopher always puts on a great show, its colourful, professional and fun. Christopher is a reliable choice for us at the daycare. Christopher Starr performed at my daughter's 4th birthday. There were 20 adults and 70 children (age 1-5yrs). Eden performed tricks that included making a live bunny appear and that made her feel very happy & special on her big day. The magic words "Happy Birthday Eden" were so powerful, and a happy little tear came to my eye when the kids shouted it. He accommodated every one of our requests including the song selection for my daughter and 16 month old son and even incorporated these songs into the tricks! How special considering my daughter likes Frozen and my son likes Wiggles. Thanks for the LED Magic Wands that they continue to play with! The teachers cannot stop talking about the show! We had Christopher Starr perform for my daughter's 4th birthday today. We wanted to include all of her classmates, so Christopher came to her preschool and did a wonderful performance. The look on the children's faces was priceless! His jokes not only entertained the kids, but the parents and teachers too! My daughter loves her light up magic wand and keeps talking about how she turned two doves into a bunny! She keeps asking when she can see the show again! Thanks for making our daughter 4th birthday so memorable! Insurance: $5,000,000 - For years my corporation has carried a Public Liability Policy that insures us for up to 5 Million Dollars per incident. We can provide you with proof of insurance, upon request. 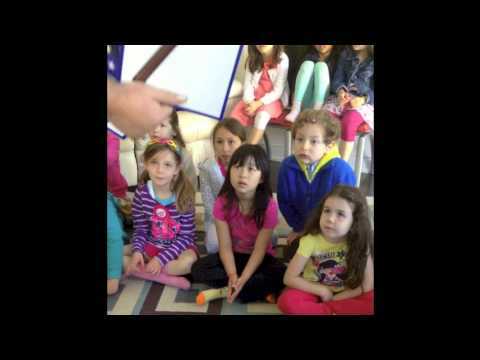 We produce and perform Family Magic Shows that everyone from 2 to 102 can enjoy! Many client love the fact that we can perform such that the children are all laughing and participating, but the adults are having a great time too. We do not however perform for adult only functions. We leave that for the other acts that specialize in that. Please inquire about our specific packages as what is included, and what you can expect varies widely based on the package you choose and the budget you are working with. From simple private parties for 10 people, to more elaborate platform shows for an audience of 300, we can produce a show that you will be proud of, so long as your budget is realistic for what you are asking for. After 30 years in business, clients come back to us again and again, and refer their family and friends to us because of the high standards of entertainment we provide, at a better rate than going through an agency. As a performer I come fully equipped, and for larger shows I bring my back-drop and PA system. Birthday shows can be performed in a Living Room or Family Room, but preferably not outside as the birds might fly away or the rabbit can get over-heated. For summer parties why not have all the mess of the food outside but have the show inside. All shows require an open area, without a table etc. as I come completely self-contained. Small shows require 6' x 6'. Larger Living Room Shows and Smaller Banquet Hall shows require 8' x 8', with a minimum 7.5' ceiling. Larger Banquet Hall and Company Christmas Party Shows require 10' wide x 8' deep, with a 10' ceiling. Performance areas should be well lit for the audience to see properly! Please inquire about additional details. January 01, 2018–January 29, 2018 • 8:00pm - 6:00pm Performing in Mexico! Please inquire about the type of routines and illusions we'll perform for your event, based on the venue and the package you select from us. I grew up loving David Copperfield and then Siegfried & Roy, but of course my shows are not nearly as elaborate. Birthday Shows in a Living Room or Family Room need a minumum of 6 feet square for a smaller package, and up to 8 feet square for a larger package. Outdoor Shows have their own set of requirments - please inquire. For Banquet Hall Shows, I need to be centered at the Front, but be careful that you don't place the DJ right behind me, blocking him in with my Backdrop. Lighting the area makes for a better performance. For larger venues where there is a DJ, I often plug my Wireless Mic System into their Amp. In that case I would need to have access to a standard XLR input on the DJs system. We perform at tons of Christmas Parties, but be careful that I'm not asked to share a platform with a giant Holiday Tree and Santa's throne. If you're having a Magic Show I still need 8' x 8' just for myself, in addition to the rest of your decorations. All Shows require that the Children AND Adults are watching politely. You may need to create another area where the Adults can talk if they are not interested in watching the show! Let's not spoil it for those that do want to warch, right?